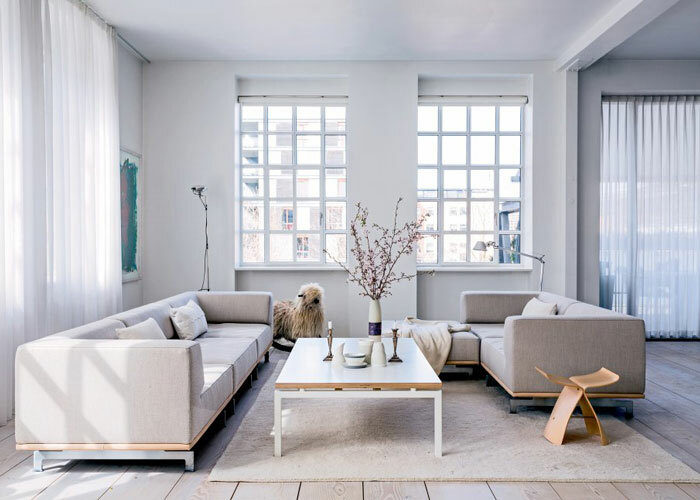 This beautiful converted loft is located in Copenhagen, and is the home of orchestra conductor Morgens Dahl and Jette Egelund, owner of VIPP. With its 400 sqm, it is incredibly spacious. The loft has numerous (34!) large windows allowing plenty of natural light to fill the place. 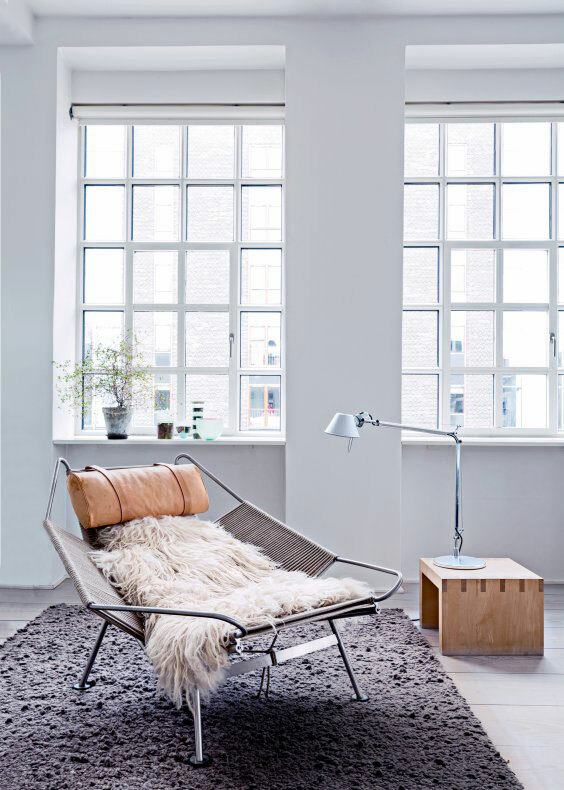 The interior features an enviable collection of iconic design pieces by Hans Wegner, Jean Prouvé and Achille Castiglioni, among others. 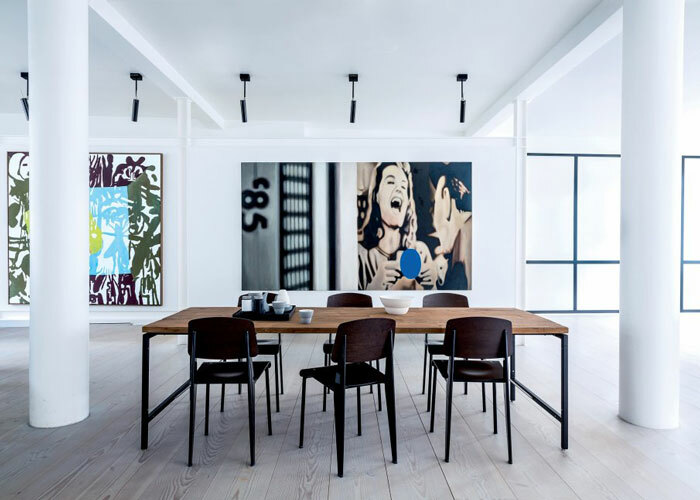 The many artworks add splashes of colours and personality. 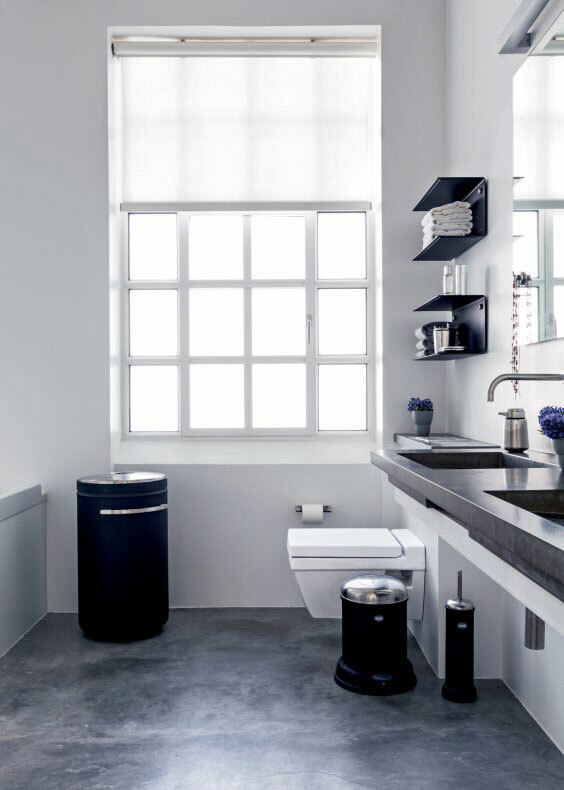 You can also spot VIPP products here and there, especially in the sleek black and white bathroom (soap dispenser, toilet brush, shelves, laundry bin, etc.). 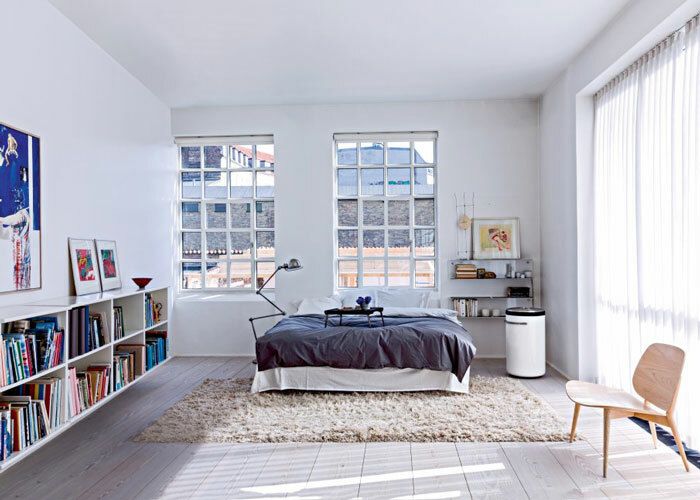 The amazing oak wood floors are (most likely) by Dinesen. I could live there in a heartbeat!